Donatella Lorch has appeared extensively on CNN , NBC News , PBS and NPR. She has spoken regularly on a wide range of topics at universities and think tanks including the National Defense University, conducted journalism training sessions at the State Department and the World Bank, and has lectured and participated in seminars for the U.S. Marine Corps, the U.S. Army and the U.S. Air Force. She has spoken on conflict resolution as well as acted as the Master of Ceremonies at the UNHCR World Refugee Day introducing the Secretary of State and is featured in a Newseum exhibit on War Reporting. Donatella Lorch has been a reporter and correspondent for more than twenty-five years and has covered wars, conflicts and natural disasters in South Asia, the Middle East, Africa and Europe for The New York Times, NBC News and Newsweek. Her writing has been praised for humanizing the cost and politics of war and giving a face not only to the fighters but to affected civilians as well. She has won awards for her reporting on Afghanistan and the Rwanda genocide as well as for her coverage of massive refugee migrations that have torn apart families and transplanted cultures. For two years, she was the director of the Knight International Press Fellowship, a program funded by the John S. and James L. Knight Foundation, which sends American reporters abroad to share the best practices of journalism. She was the reporter for Explorer: Inside Guantanamo , a National Geographic Television documentary on the American detention facility at Guantanamo Bay, Cuba. While living in Kenya until mid-2013, she reported, wrote, produced and narrated short documentaries for the World Bank, U.N. agencies and the United States Agency for International Development. At USAID, she also spearheaded communications for their largest youth program in the world as well as organized and coordinated their 50th anniversary celebrations. While living in Nepal, her writing, filming and photography during the Nepal 2015 earthquake and its aftermath appeared in The New York Times, NPR, USA Today, The Daily Beast as well as in publications of UNHCR, The World Bank and The Asian Development Bank. They are also on her blog: TangledJourneys.com. She now lives in Ankara, Turkey. Afghanistan, winter 1989 on the outskirts of Kabul. 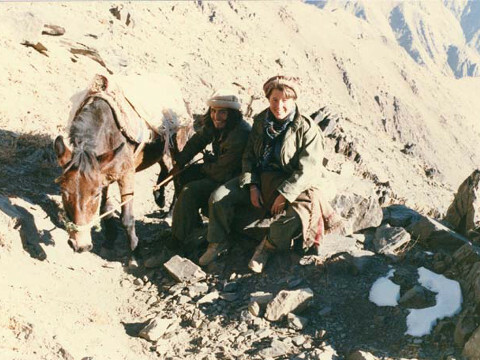 Lorch began reporting in 1987, traveling with and writing about the little known Afghan Mujaheddin guerrillas and their war against the Soviet occupation. Hired by The New York Times, she based herself in Peshawar, Pakistan, took more than a dozen trips into Afghanistan, and was the first reporter and only woman journalist to be smuggled into Kabul to document the guerrilla underground. From Pakistan, she also wrote about the assassination of President Zia ul-Haq, the election of Benazir Bhutto, and the Pakistan government's growing nuclear capability. Rwandan Hutu refugees in the Tanzanian bush. In the following years, she covered more than a dozen wars, including Operation Desert Storm (Iraq) and the fall of Kabul to the Afghan guerrillas in 1992. As East Africa Bureau Chief for The New York Times, she covered the civil war and famine in Somalia as well as the U.S. and U.N. intervention and pullout. She traveled with the rebels in southern Sudan, reported on the reign of terror of the Lord's Resistance Army in northern Uganda, and witnessed the massacres in the hills of Burundi. But it was the story of the Rwandan genocide that, she says, has never left her. 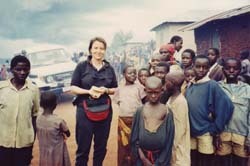 One of the few reporters to drive into Kigali a few days after the killings started, she spent the next year reporting from massacre sites, refugee camps and post-war Rwanda in an effort to document the unfolding of the genocide and the effort at rebuilding a country. After joining NBC News in 1996 as an on-air correspondent, Lorch followed the tracks of war criminals in Bosnia, the war in Kosovo and its refugees in Albania, and reported on the terrorist bombing of the U.S. embassy in Kenya. But it is her passion for and knowledge of Afghanistan and Rwanda, refugee issues, and the role of the media in the battlefield that have become her trademark. As a correspondent for Newsweek, she reported from Africa and the U.S. on refugee resettlement issues for Sudan's "Lost Boys" and the Somali Bantus. In 2002, she returned to Afghanistan to embed with a U.S. Army Special Forces A Team and again in 2003 to base herself in the Taliban stronghold of South-eastern Afghanistan to write about the stalled efforts at reconstruction. In late 2008, she went back to Afghanistan to track down and interview former Guantanamo Bay detainees as part of a documentary on the American prison. The film was nominated for two Emmys: one for Best Documentary and one for Best in Craft: Writing. During her four years in Africa, Lorch worked as a consultant based in Nairobi, Kenya for the World Bank Development Report 2011, the United Nations Environment Program and for UN Women. She reported, wrote, produced and narrated videos as well as strategized and coordinated the 2010 world-wide launch of the "UNITE – Say No to Violence Against Women" campaign. At USAID in Kenya, she also spearheaded communications for their largest youth program in the world as well as organized and coordinated their 50th anniversary celebrations, conducted media training sessions and photographed their programs Kenya-wide. While living in Nepal, Lorch covered the April 2015 earthquake and its aftermath for The New York Times, NPR, PRI, USA Today, The Daily Beast, UNHCR and The Asian Development Bank. She was a frequent commentator on NPR, PBS and NBC News. She has raised funds for and is assisting in the rebuilding of a Nepali village. Prior to the devastating earthquake, Lorch worked with Nepali schools as well as with local government entities to promote Kathmandu garbage clean-up and plastic-free campaigns. Her writing focuses on themes as varied as politics, religion, running, family, development efforts, trekking, pollution, holy goats and stray dogs. Now in Turkey, Lorch has reported on terrorist bombings and Syrian refugees and writes for UNICEF. She is also a New York Times expert for " Times /Journeys." Lorch, who speaks English, French, and Italian as well as conversational Spanish and Chinese, earned a B.A. in Chinese History from Barnard College in 1983 as well as an M.A. in Indic Studies and an M.A. in International Affairs, both from Columbia University. She is a recipient of the Alicia Patterson Fellowship and several reporting prizes. She has been profiled in the Freedom Forum and Newseum exhibit on war reporting, as well as in several books on war correspondents, including War Stories (2003) and Bearing Witness: the Lives of War Correspondents and Photo Journalists (Denise Leith, Random House, Australia, 2004); That the World May Know: Bearing Witness to Atrocity (James Dawes, Harvard University Press, 2007) and a BBC/Discovery Channel "Reporters at War" series. Lorch has written book chapters on post-traumatic stress as well as the role of the media in humanitarian crises. She has lectured extensively on war reporting, journalism ethics, refugee issues, humanitarian intervention, and the role of the media in the battlefield. She has been a frequent guest speaker on CNN, FOX, MSNBC, BBC, CBC, PBS (The Charlie Rose Show), C-SPAN and National Public Radio. She is a recipient of the 2008 Barnard College Distinguished Alumna Award Award and while in Kenya was a member of Karura Forest's Management Committee. Karura Forest, once controlled by gangs and bandits, is now one of Nairobi's last wooded parks and one of the city's safest recreation areas. It was rescued from developers by Nobel Laureate Prof. Wangari Maathai. She lives in Turkey with her husband Johannes Zutt, who works at The World Bank. The couple met when she interviewed him on the subject of Sudanese refugees. They married in 2003 and have three children from his first marriage, Madeline, Nicholas and Alexander, as well as a son, Lucas. Donatella Lorch has worked as a media consultant: as advisor and strategizer, writer, reporter, producer and film narrator. Lorch reported and wrote about Syrian refugees. Lorch reports and writes about UNICEF's work across Turkey, focusing on Syrian refugees. Lorch researched, reported, produced, narrated and co-edited three films on the challenges of Nepal's post earthquake reconstruction. A seven-minute film was showcased at Nepal's International Donor Conference in June 2015. From Nepal, Lorch reported, photographed and wrote two articles for UNHCR's magazine Tracks as well as reported, wrote and narrated a video version of the articles. Lorch researched, reported, wrote, co-produced and narrated a 40-minute film on USAID's 50th anniversary in Kenya as well as organized and coordinated photo exhibits and anniversary celebrations. She spearheaded a communication strategy for USAID's largest youth program in the world: Yes Youth Can, conducted media training sessions and photographed their programs Kenya-wide. From Rwanda, she reported, wrote, produced and narrated videos and radio pieces for UNEP's World Environment Day 2010 on the struggle to save the mountain gorillas, Rwanda's efforts at reforestation and the world-wide broadcast of World Environment Day and Kwita Izina (gorilla baby naming) celebrations. Focusing on the aftermath of Kenya's post-election violence and major population displacement, Lorch traveled across Kenya's Rift Valley reporting and analyzing the connections between conflict and development and the future prospects for Kenya. She also reported and photographed life in Nairobi's Mathare slum (pop. 850,000) as a window into the life of urban poor and growing violence in their communities. 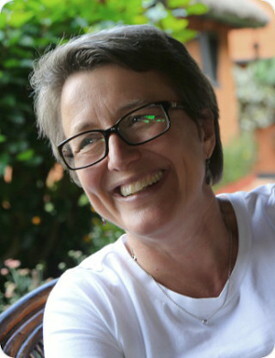 Lorch strategized and coordinated the 2009 world-wide launch of the "UNITE – Say No to Violence Against Women" campaign and reported, produced, wrote, edited and narrated video news pieces on UN WOMEN projects related to violence against women. Donatella Lorch has written extensively for The New York Times on foreign affairs and conflicts in Africa, the Middle East and Afghanistan as well as crime in New York City, the American penal system and immigration. These articles can all be found on Lexis-Nexis as can her reporting for Newsweek. Her articles on the Nepal 2015 earthquake and its aftermath as well as on Nepal in general can be found on Muck Rack. Specific articles and documentaries are highlighted below. Her writing is also on tangledjourneys.com. 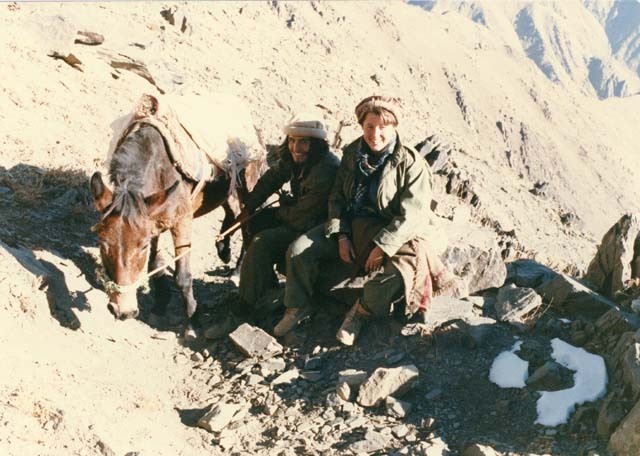 Since Soviet soldiers controlled all the main roads in Afghanistan, the guerrilla fighters had to trek over mountain passes to head back to the safety of Pakistan. This particular hike took three days and nights from the outskirts of Kabul to a safe village where a pick-up truck was waiting for us. © 2007-2017 Donatella Lorch. All rights reserved. Design by Zach van Schouwen.